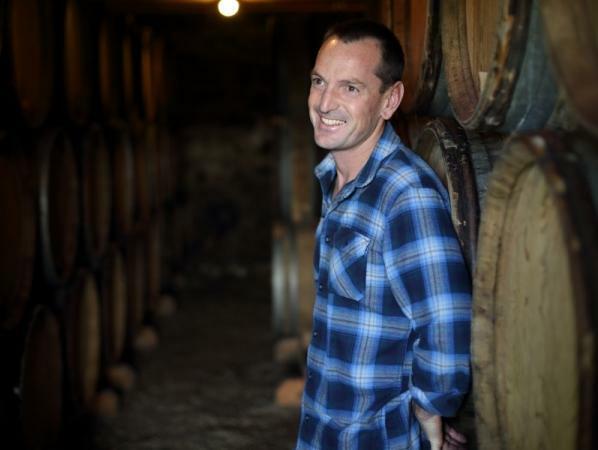 "The domaine of Julien Sunier is one of the most exciting new tiny properties to come out of the Beaujolais in recent years. Sunier grew up in Dijon, but was not part of a wine family. His mother in fact made her living cutting hair, and one of her regular clients happened to (auspiciously) be Christophe Roumier. When Julien graduated from school, he had no idea what he wanted to do with his life, so he decided to go work with Roumier to "see what this wine stuff was all about". He then got the "wine bug" and spent his early twenties globe-trotting on the international wine route. His travels took him to California and New Zealand, allowing him to both surf and work harvest in both hemispheres. When he returned to Burgundy, Julien worked alongside winemakers Nicolas Potel in Nuits Saint-Georges and Jean-Claude Rateau in Beaune, where he solidified a passion for organic and biodynamic viticulture. Following his stint in Burgundy, Julien spent five years managing a large negociant where he worked with growers in all of the 10 Cru Beaujolais villages. This work proved to be invaluable as it gave him a strong understanding of the various micro-climates and micro terroirs throughout the region. In the Spring of 2008, Julien set out on his own to pursue his dream of establishing a domaine more in sync with his own ideas of organic viticulture and natural winemaking. He secured three hectares of densely planted, old-vine, hilltop parcels in the Cru villages of Fleurie, Morgon and Régnié. He is currently working to convert all of his vineyards to organic viticulture. Harvesting entirely by hand, Julien does whole cluster, indigenous yeast fermentations in concrete vats at low temperatures in an effort to preserve fresh fruit flavors and a delicate tannin structure. After the alcoholic fermentations are complete, the fruit is slowly and gently pressed over a 24 hour period using an ancient vertical press Julien acquired in the Côte D'Or. The wines are then aged for up to 11 months in 3 - 9 year old Burgundy barrels that he gets from his old friend, Christophe Roumier. The resulting wines are exceptionally pure, elegant and without artifice. Perhaps it is the provenance of his barrels, but there is a bit of a Chambolle hand that comes through on Sunier's wines (though perhaps a touch of Morey on the Morgon?). They are at once bright, floral and high-tones but with an ethereal texture and a beguiling, long finish. While you would be hard pressed to try and delay the immediate gratification of drinking the wines young, they have the depth and balanced structure to reward medium-term cellaring. We look forward to seeing Sunier's continued rise to the forefront of the region's most compelling producers."